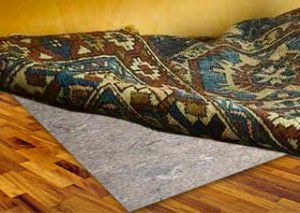 When you own quality rugs you will do almost anything that you can to protect the rug. However, you will find that the rugs are going to get stained at some point in time. The problem is that some people will not know how to get the stains out of the rugs they own. This is when you should use some tips to help you in getting the stains out of your rugs that you have in your home. The first tip that you will want to use is to try to get as much of the stain out as possible with a dry cloth. This means you will have to see the stain happen, but you will also find that some of the stains are going to be wet for a long period of time. So you will want to try to pull out as much of the stain with a dry washcloth before you start to use any of the cleaners. A second tip is to find out what the root cause of the stain is. For example, blood often requires a different cleaner than the wine or grape juice that you spill on the rug. When you do this you can find the recommended cleaner for the rug and know if you can make the proper clean at home or if needs to be cleaned up professionally. Having a nice rug is a good thing for your home. However, you will quickly find that when you are using the rug on a regular basis it is bound to get stains on it at some point. This is when you should use some tips to help you in removing the stains on your rug. Once you start to use these tips you can start to get rid of the stains and keep your rug looking great. When people get sick, they often blame the illness that they have contracted on their job, people they have come into contact with, or simply because it’s cold outside. They never think that it has anything to do with their home. In reality, many people they get sick are unhealthy because they do not clean their house on a regular basis. They may wipe down the counters, clean the bathroom, but one thing they may never clean are their rugs. Here are two tips on how to keep your rugs clean so that you and your family can be healthier this year. If you are a homeowner, you know the importance of always making your space look good. Bad carpeting can dramatically alter the way your space is perceived by others. Hiring a professional rug cleaner is the best way to keep everything in tip-top shape. Here are a few reasons we are the best ones for the job. Have you ever hired a contractor for a job and they showed up whenever they felt like it. There is something extremely wrong with that and it should not be tolerated. Being professional is an essential part of being a rug cleaner. 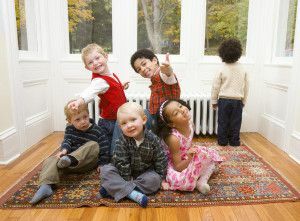 It is like second nature to us, so you never have to worry about us being anything but. Two things that separate the professionals from the rest are a license and insurance. There is no way that you should agree to work with anyone that cannot show you proof of both of these. Having a license and a valid insurance policy shows you that we care about protecting you and your property and money is not our sole motivation. When you attempt to clean your rug without professional help, people can tell the difference. You may believe that it is subtle, but it is usually easy to tell when the person cleaning a rug is less than professional. If the rug was heavily stained prior to cleaning, there may be faint discoloration and damage to the fabric. Calling us to clean your rug means that it will look like new. There should be no reason for you to ignore the facts stated here and hire a different company to clean your rugs. Based on what you were told above, it should be clear why we are the best available option. You may think that a professional rug cleaner is completely unnecessary. However, that most definitely isn’t the case. Anyone who owns high quality rugs should strongly consider hiring a professional cleaner. There are a great deal of benefits that come to working with professional cleaners. Rugs and carpets should last several years before needing replaced. 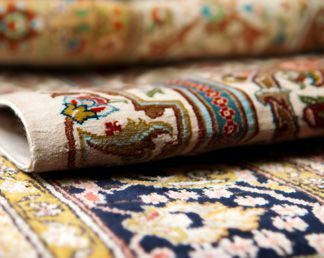 If you want to make sure that your treasured rug lasts for as long as possible, try these simple tips that will prolong their life. Get into the habit of removing your shoes before you come indoors. This will stop you from accidentally tracking dirt into the carpet. Dirt has a habit of working its way through the fiber of your rugs and carpet and damaging the backing. The less dirt you bring in from the outside, the better. Vacuum clean your carpet on a regular basis – at least twice a week, more often for high traffic areas. It may take 2-3 passes to fully clean your rug. If you accidentally spill something on a rug, blot it up immediately and then clean it. The longer you allow the spillage to remain on the rug, the more likely it will turn into a persistent stain. Remove spills by blotting up the liquid, misting on some detergent, and blotting it clean. Repeat the process two or three times for best results. 4. Avoid putting Heavy furniture on rugs. Prevent wear and tear by not placing furniture on rugs. 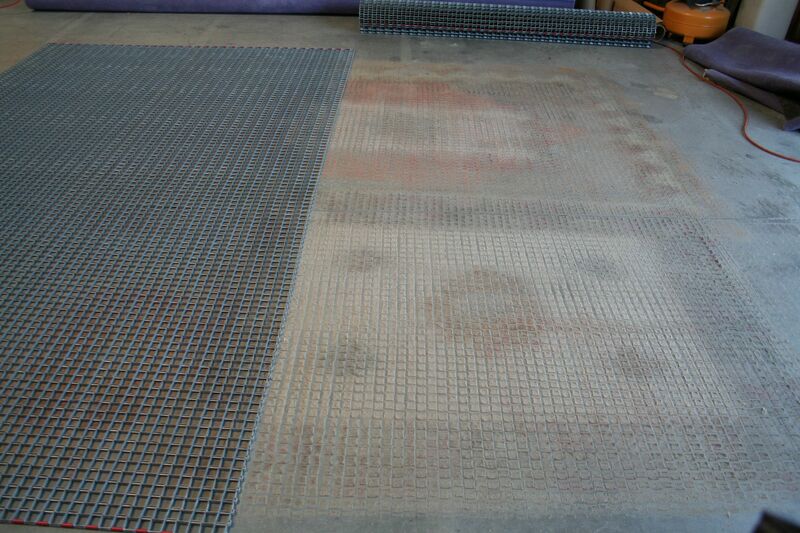 This is especially important with deep-pile rugs, which can show signs of wear quickly. Fluff the rug periodically to breathe life back into flattened fibers. If you have an expensive, treasured rug, get it professionally cleaned at least once every two years. This will help to prolong the life of the rug. Professional cleaners know which solutions to use on different fabrics, and will make sure that your rug comes back looking as good as new, without any damage to the fibers or the backing. 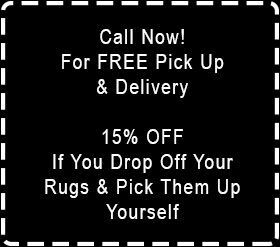 At Magic Rug Cleaners, We inspect and diagnose each and every rug that is brought in or picked up. We check dyes for stability, and possible color loss. Do the dyes bleed? Are there any problems that could arise in the cleaning process. We check for pre-existing damage such as dry rot, extreme wear, holes, or other visible damage. Is their any pet stains or severe odor? If so, each rug is individually treated accordingly to ensure a safe cleaning. Why You Should Have Your Rugs Professionally Cleaned?